Javid Abdelmoneim is a doctor who just completed his fourth mission with MSF having previously worked in Iraq, Haiti and Lebanon. He recently returned from South Sudan where he was part of our flying team, a highly mobile team of doctors, nurses and logisticians who are able to provide medical care to some of the most remote communities in the worlds newest country. We caught up with Javid to find out what it was like. What does running a mobile clinic entail? Mobile clinics are just that – you pack your meds in a box and go. You set up your triage area and treat whatever comes your way. The big three are respiratory infections, diarrhoeal diseases and malaria. So you prepare yourself for just that, but you also get cuts and scratches, other infectious diseases, anything. You spend four or five days in the bush and then come back, or go on to the next place. You travel by helicopter or plane, depending on the weather. You get there around noon and open at 8am the next day, so in the space of an afternoon you have to hire and train local staff, while the logisticians are building the clinic and the place where you’re going to sleep. 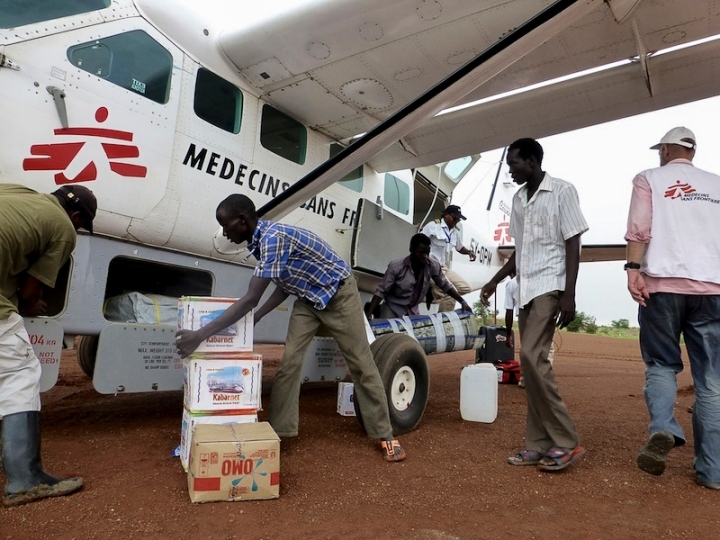 In other places, our flying team is supporting South Sudanese staff at MSF projects. We fly in with the supplies, payroll and mosquito nets and then head to the next place. Alongside treatment, we also do surveillance – we always screen for malnutrition. What has been your favourite mission with MSF? I loved Iraq because it was my first mission and I got to use my Arabic. I also really enjoyed the training aspect of the work – I love that. Haiti troubled me because I found it so, so hard, professionally and personally, but then in hindsight I loved it because I did it, my French was good and I made so many good friends. And then this mission has been exciting and challenging. I had a great mix of responsibilities, from training the South Sudanese staff to hands-on medical care – it had everything. This last mission has refreshed me and it’s made me decide that I’m going to make myself available for MSF for two months every year. Are there any patients who stick in your mind? The first patient I met was a nine-year-old boy called Kherro. He had been shot through the chest and airlifted by the flying team to our hospital in Juba for medical care ten days previously. I met him when he was nearly ready to be discharged after a blood transfusion, antibiotics, tetanus immunisation, wound care, therapeutic nutrition, malaria treatment and chest X-rays – no mean feat for a medical care in the middle of a camp. When the flight day came I woke at 6 am and went to collect him and his mother – they were hitching a lift home on the plane with the team. It was the first time I’d seen him smile. On arrival in Gumuruk, we were greeted by many people on the airstrip, Kherro and his mother walked off into the distance and a really heart-warming thank you. I made sure she understood that she ought to bring him to the clinic in two days for changes to his dressings, and so it wasn’t quite a final goodbye. I sneaked a cheeky photo of him walking into the bush with his mum. Note to self: he’s one for the feel-good bank. Mediterranean Crisis: "They are not numbers, they are people"